Propulse™ Pea Protein | Norben Company Inc.
A natural food-grade vegetable protein, which offers a high level of functionality and nutrition. The raw materials, Canadian Yellow Peas, are not genetically modified, therefore, Propulse™ is suitable for a GMO-free label. Propulse™ Pea Protein offers product designers an easy means of vegetable protein enrichment. 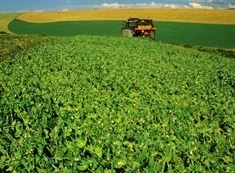 Pea proteins are high-quality proteins with digestibility comparable to the best animal proteins. Pea proteins also have an excellent amino acid balance and low allergenicity profile. Further, formulators can breathe easy when discovering that pea protein is not listed on the U.S. and EU major allergen lists.